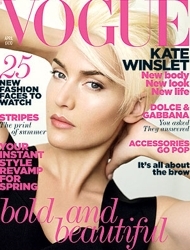 « Kate Winslet Shows Off Darker Blonde Hairstyle – Did She Cut It Or Not? This entry was posted on Tuesday, March 22nd, 2011 at 9:33 pm	and is filed under Beauty Beat, Blonde hair color, Body Beat, Celebrity Bites, Celebrity Gossip, Celebrity Hairstyles, Celebrity News, Celebrity News & Juice, Fashion, Hair, Hair Color, Hairstyles, Medium Length Hairstyles, Movies & Films, News, Platinum Blonde, Ramblings On Current News & Events, Short Hair, Short Hairstyle, TV's Picks & Pans, Updo Hairstyle, Updo Hairstyles, Wavy Hair, Women's Hairstyles. You can follow any responses to this entry through the RSS 2.0 feed. Both comments and pings are currently closed.